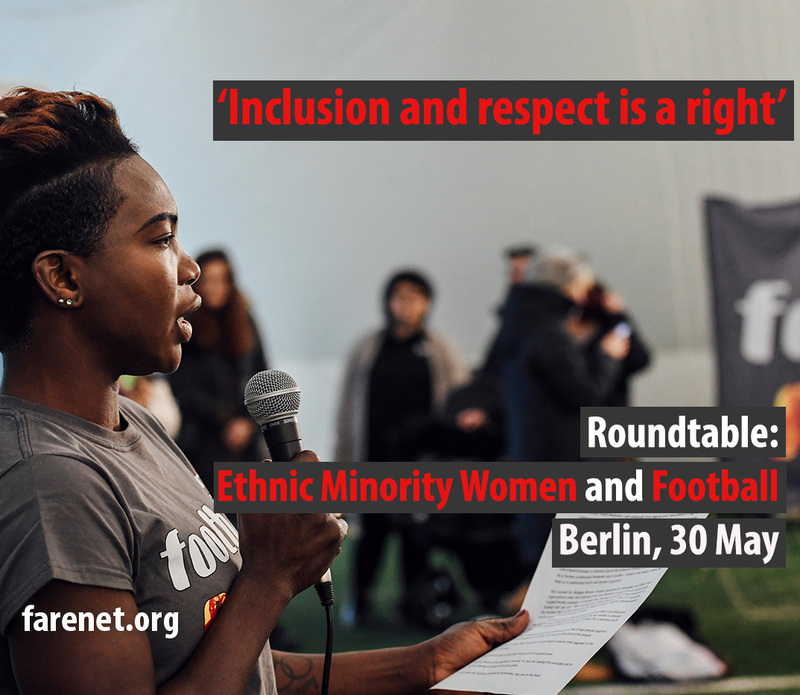 Fare is organising a roundtable on the role that football can play in supporting the social development and personal empowerment of ethnic minority women. The event will ask if football can help to overcome processes of exclusion; the responsibilities of governing bodies in opening up leadership and developing talented ethnic minority women; and, whether football can be a means of offering greater visibility. Will also seek to celebrate women who are the heroes of football and look at what is being done through grassroots projects, what should future projects in this area look like? The event will bring together voices from across Europe to work on these and related issues. It will be an opportunity to plan future activities and develop a networking platform. If you are an ethnic minority woman who is interested in sport or are part of an organization that works with ethnic minority women through sport, or a policy maker or academic working at national or international level we want to hear from you. The roundtable will take place in Berlin, held in partnership with DISCOVER FOOTBALL, on 30 May 2018. Bursaries for travel and accommodation are available.